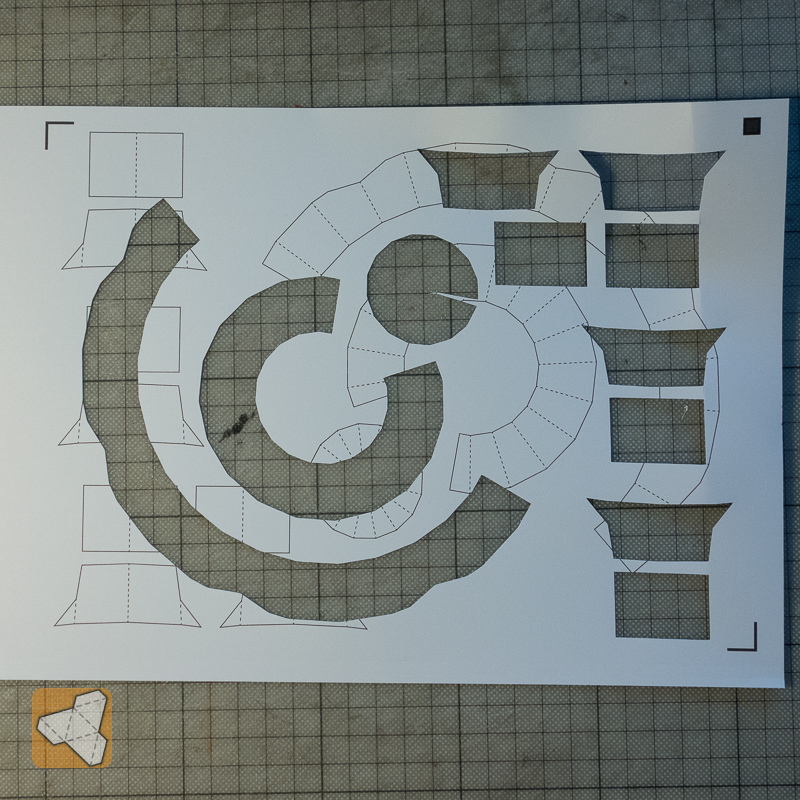 I have been working on the next iteration of improving the unfold of the homestead. I was able to break it into modules to allow for a little choice in how to build (add some variety). The walls and arch/door segments are connected on the sides to form the connected structure of the walls. 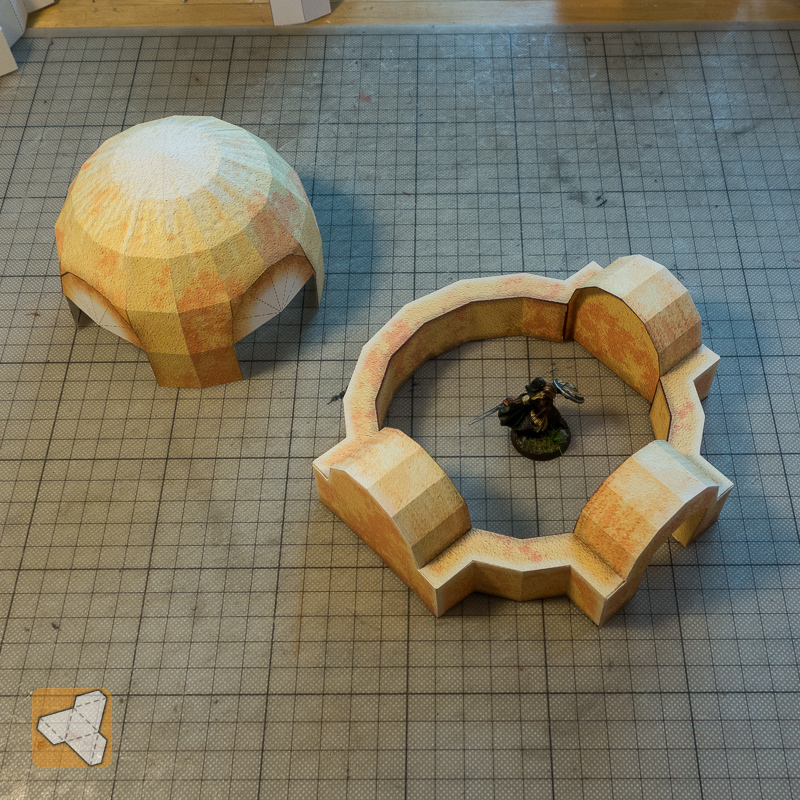 A dome can then be place and removed as required for interior gaming or showcasing. 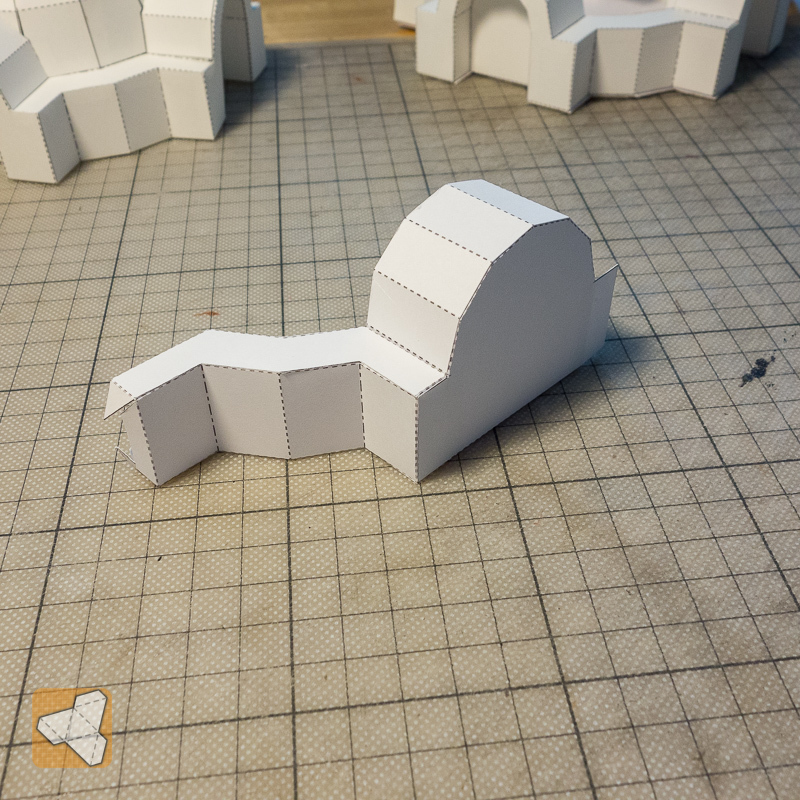 After completing this I just thought another approach to connect would be to vertically slide/connect them, maybe with the things I learnt with fold-flat tabs or so... have to experiment further. And finally all glued together. 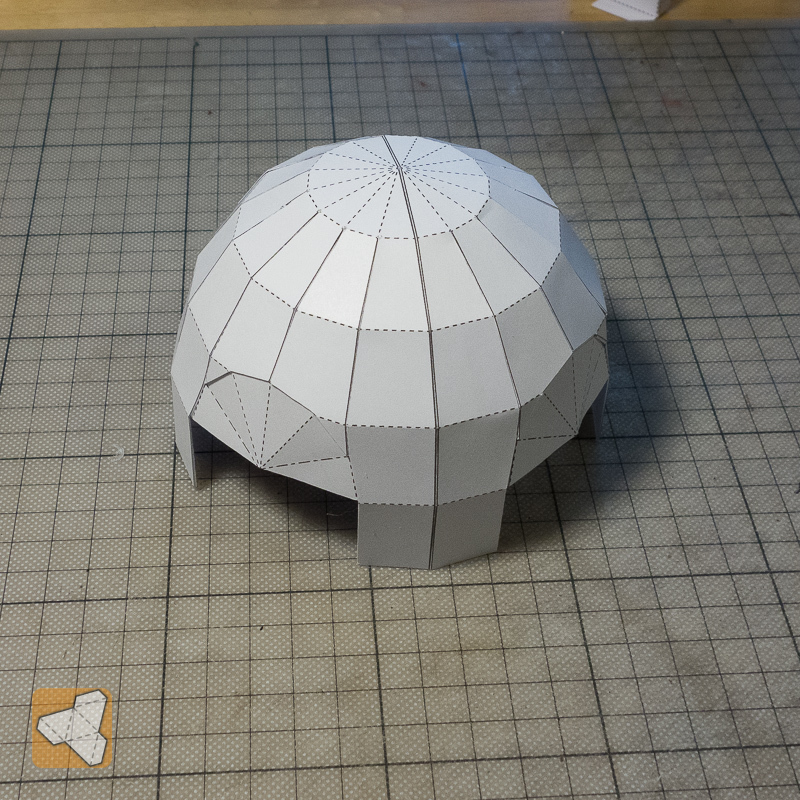 Using one of my old dome prototypes to finish! I like where this is going. 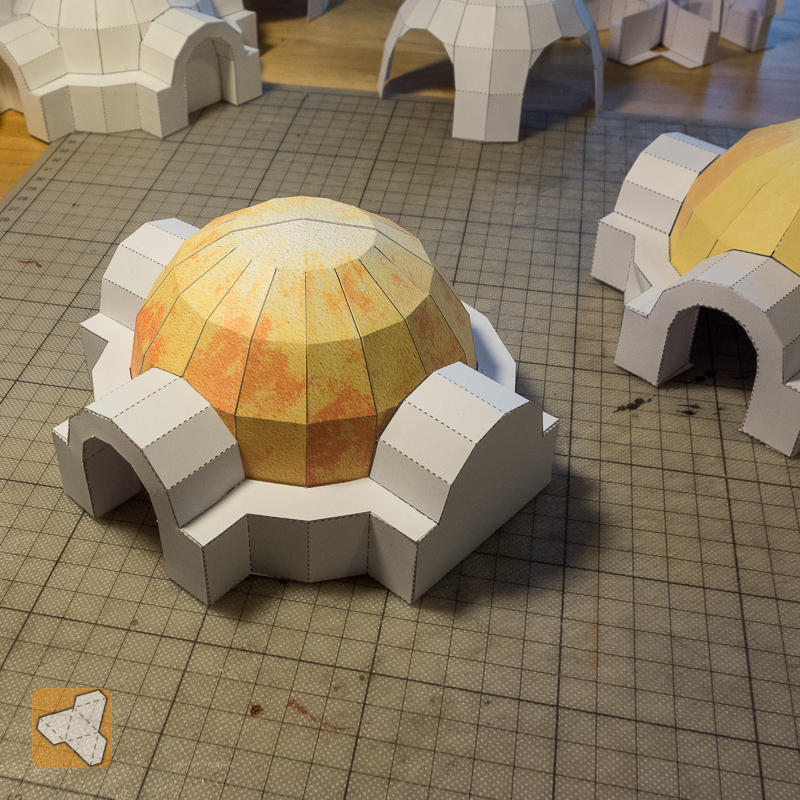 I have a soft spot for domes, and I like the fact that these have removable tops and usable interiors. 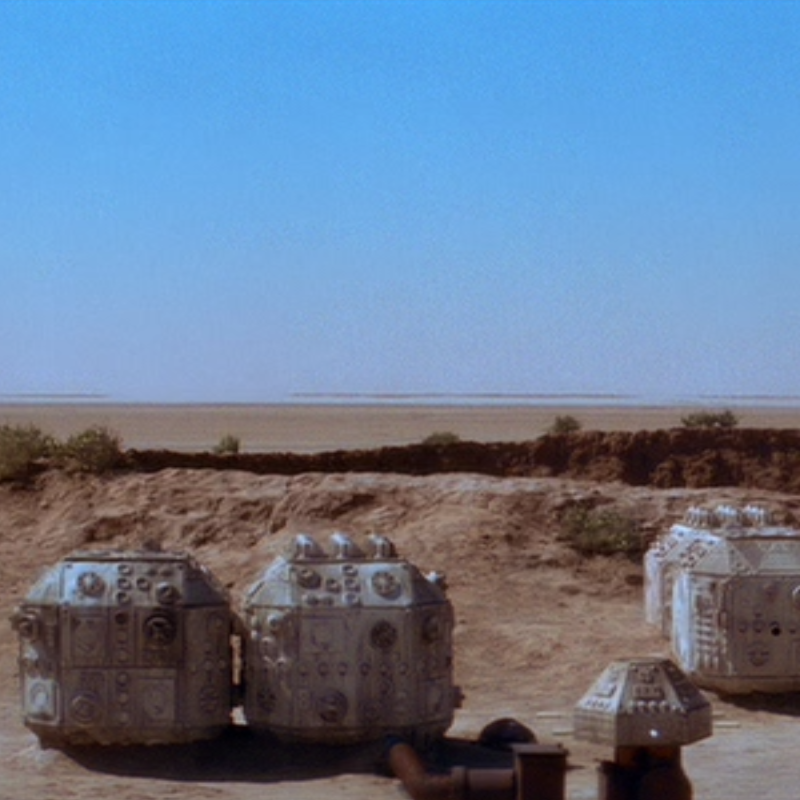 I was thinking just now that if you added plug connectors to the doorways, I could see a bunch of those being linked together into some sort of moonbase-like space habitat. I was thinking just now that if you added plug connectors to the doorways, I could see a bunch of those being linked together into some sort of moonbase-like space habitat. Today I was working on optimizing the unfold (esp the tabs) of the door module. I wanted it to be as easy to build and I think I can't do better than this. On to the dome! BTW the little left over parts ... that's what we call "Papierschnitzel"
Working on the dome bloopers ... I thought the registration marks would make this impossible, but I had to laugh when I saw this! I do like the look of the just white surface. Finally it fits! 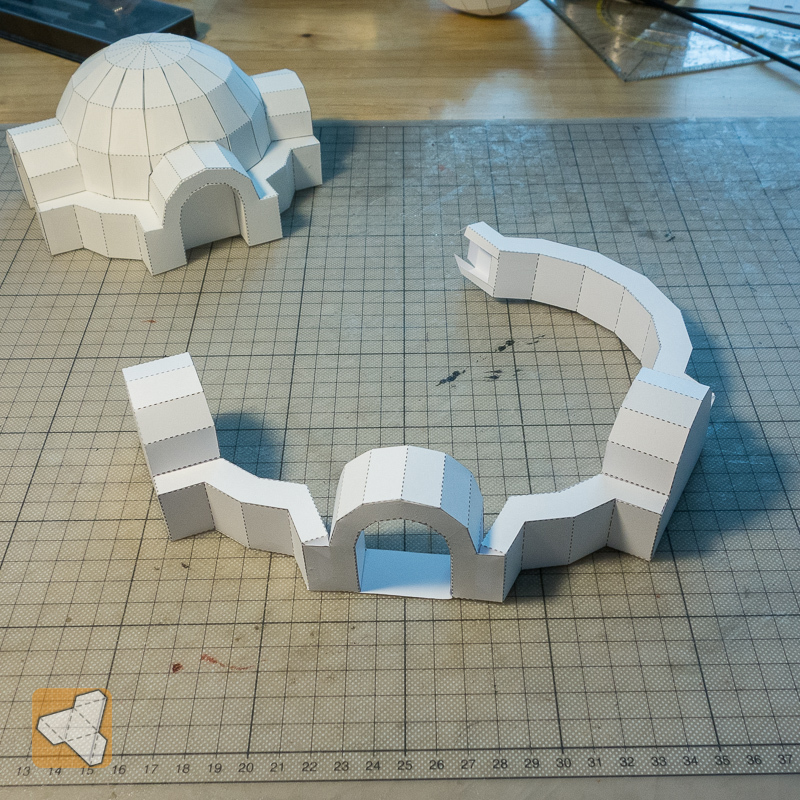 Had to split the dome main part in half to make it fit on a page. 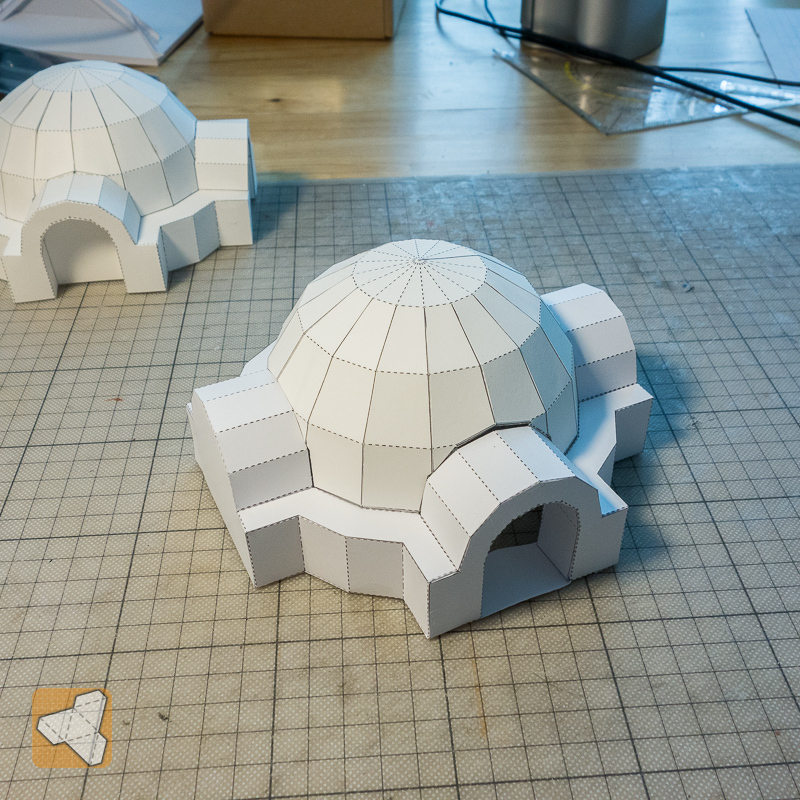 The dome stands on its own legs and the arcs are filled, so there are no gaps when inserted. I can start thinking about texturing now! 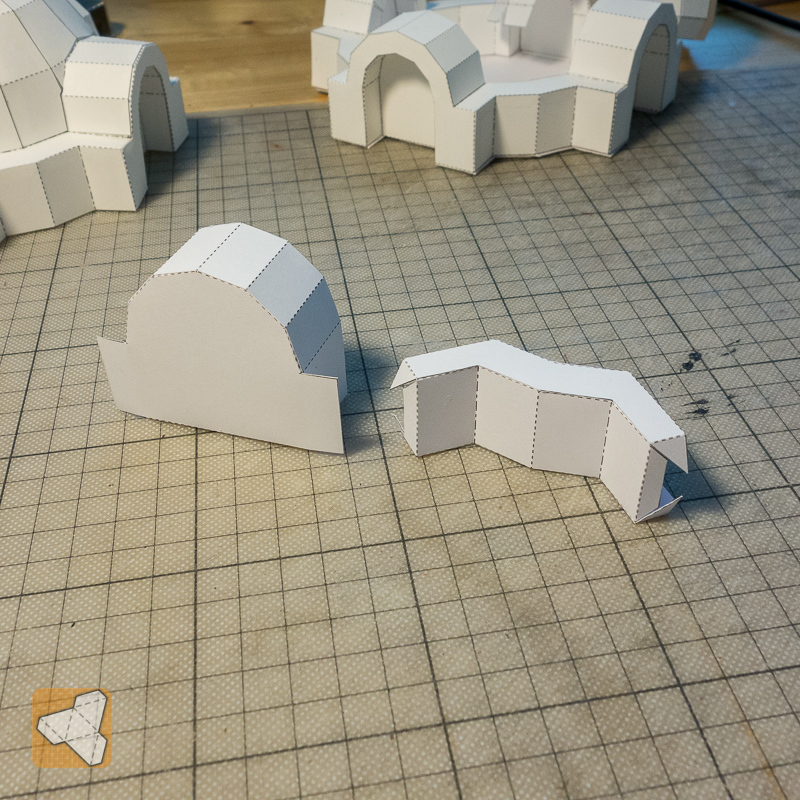 Looks awesome, like the half dome idea, it could have a wall texture and be useable as a half dome shelter maybe, or even the end of a long sausage like building to house your zepplin thang. . .
First texturing test. 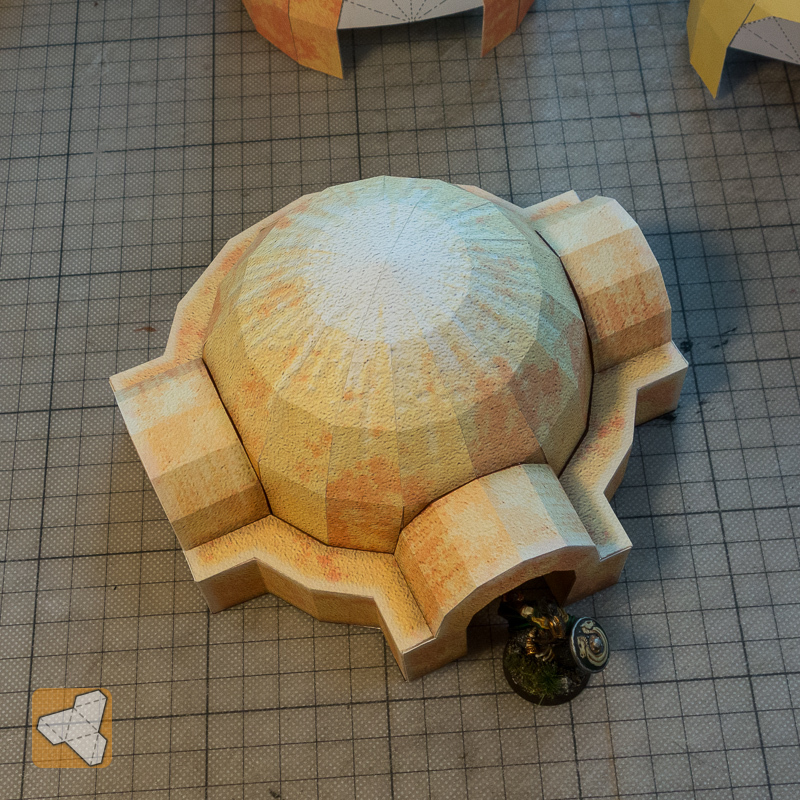 I found a way in Gimp to handle the circular nature of painting the dome. The effects of weathering need to be more profound, but I am happy with what I am able to do with Gimp. I compiled a couple of pics I found to focus on the different looks. I see two major color versions, probably due to time of day of the shoot and also color grading effects. The one version is leaning more towards a saturated yellow with reddish color patterns. The other shows more natural sand color tone with variations of lighter and darker shades. I will try to make these two version for the set. 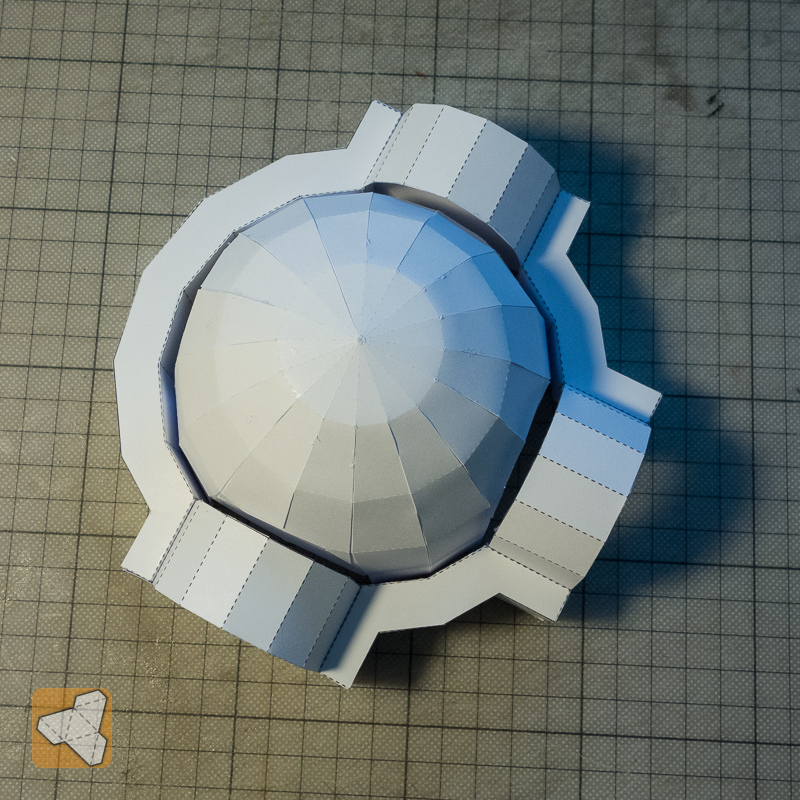 First test of a better texture for the dome. I found it makes a big difference with this model what type of paper I use. The first test above was on a slightly "shiny" surface, very white paper. This version was printed on a little coarse, very matte and structured paper. I am in the process of building a full model with the first texture. Once complete it will be easier to assess how much the colors need to be adjusted. I'll probably have first pics by tomorrow. 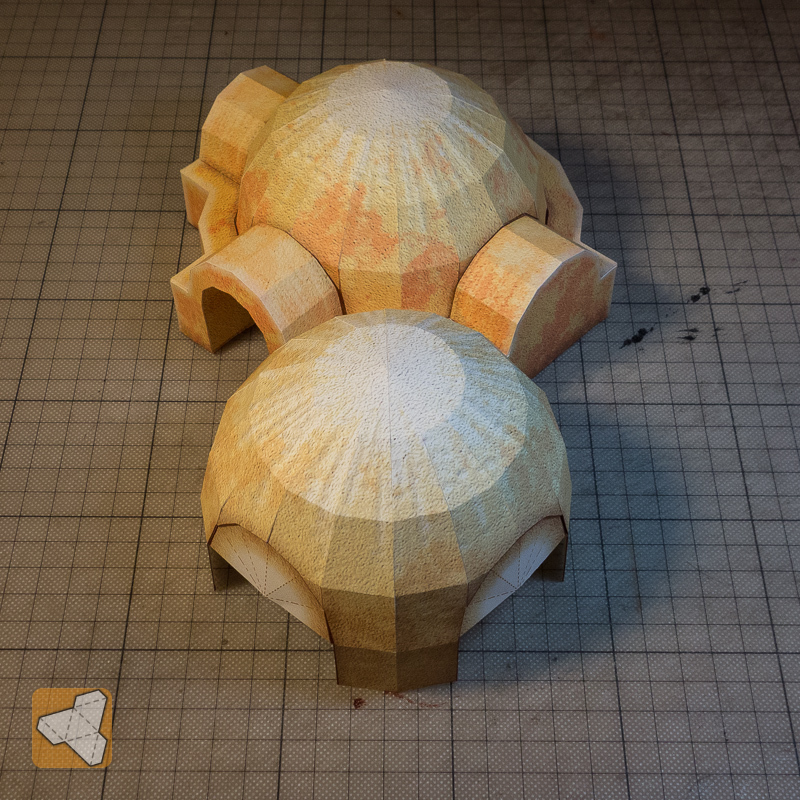 Ok, so here comes the first proper test build with the reddish texture variation. I have not added the smaller texture details like the "switches" panel on the front but just wanted to get the overall look right. 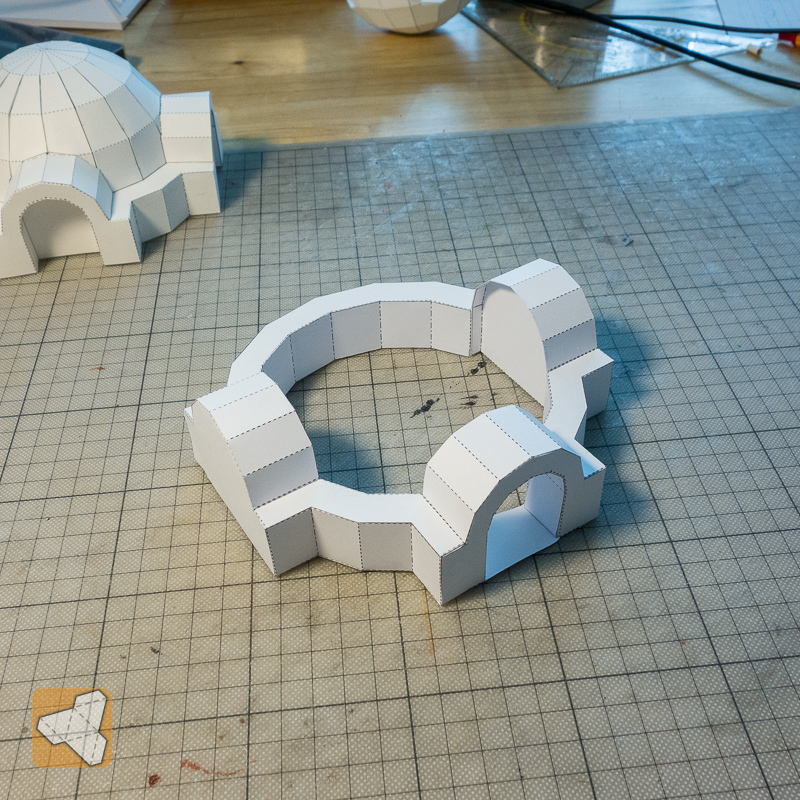 Also I wanted to see how the dome looks when I build it carefully. And I am very pleased with the look! 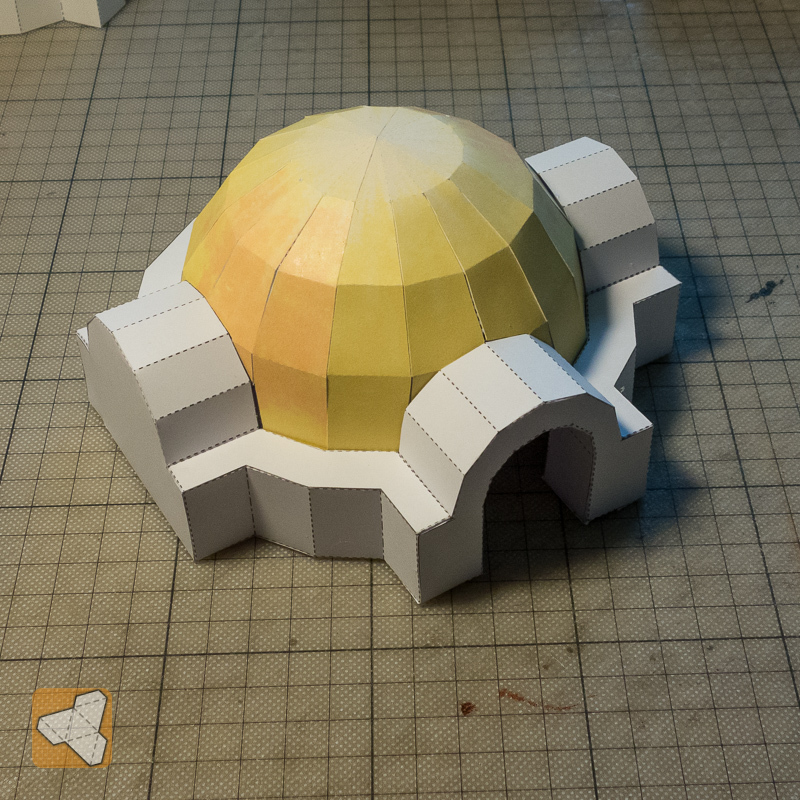 The edges almost disappear on the dome if you take your time with the build. I have highlighted the edges on the outside so I don't need to edge and it still looks good. Are there any vaporator models out there? I think it would cool next to the house. I added a standee of a vaporator to the Star Tales Hoard. While waiting on the new printer cartridges I tried to squeeze one more page out of the printer. Vermin King used a Landspeeder model in his diorama and I thought this would go well with the homestead. 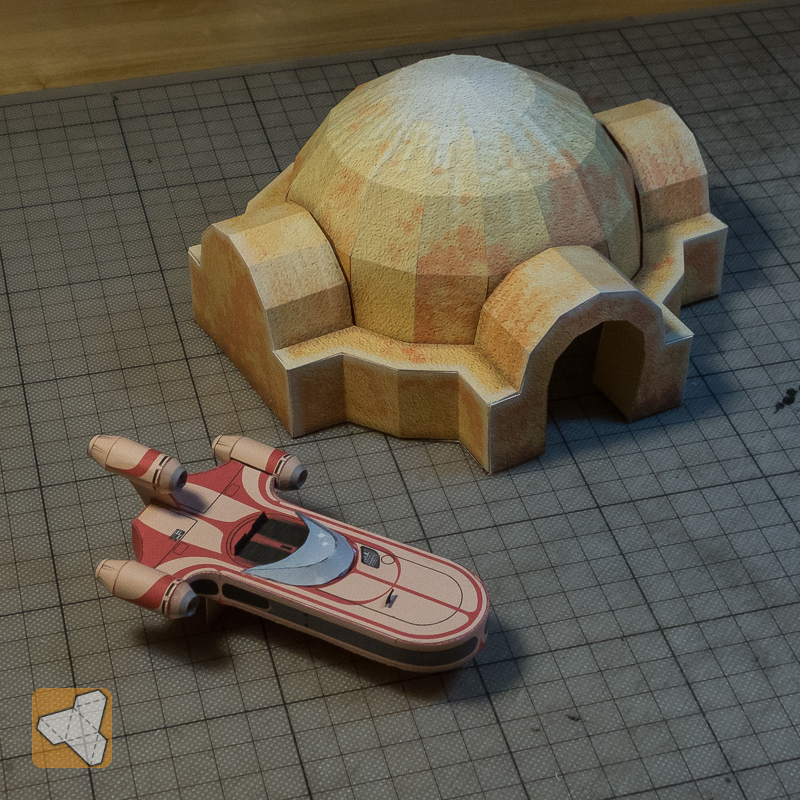 After successfully printing Dave Winfield's Landspeeder (how many more pages can you print when the printer says it's out of ink?!?) I had a blast assembling this piece of beauty. It's definitely not a beginners model. The turbines are glued edge to edge. Some parts I reinforced with added tabs under the edges. And some parts are REALLY small :-) But when finished, it's all worth the effort. I love the stand that makes it look like it's really hovering. Doesn't it look great next to the homestead? LOL ... great idea. The hidden bonus feature. I look forward to some kitbasher to produce this!!! I have never counted but I basically ignore those notifications and just keep printing until the colours go wonky. So still no new ink arriving today. I checked the printer status and found that I actually have a bit of the black ink left. I remembered these crates lying around the homestead and thought I'll give it a try. This is what I was able to make today. 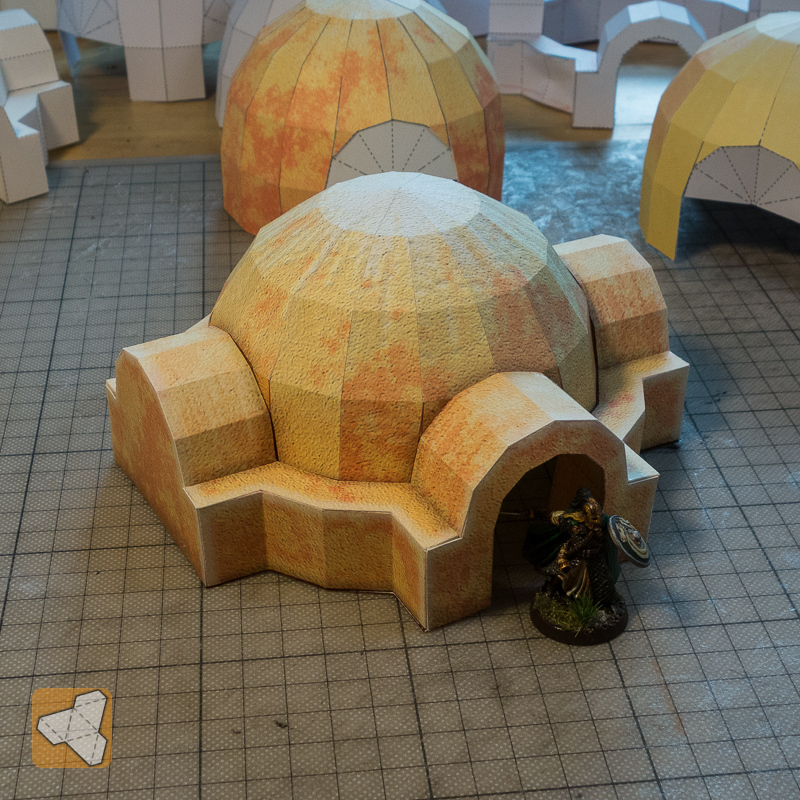 So - you don't have any desert colored gaming mats/tiles laying around? :-) You're very close to your first shareable diorama! So far only the generic grass and dirt ones. Maybe I can create some desert ones for this. Finally with the printer ink cartridges arriving I could start building the other texture version. 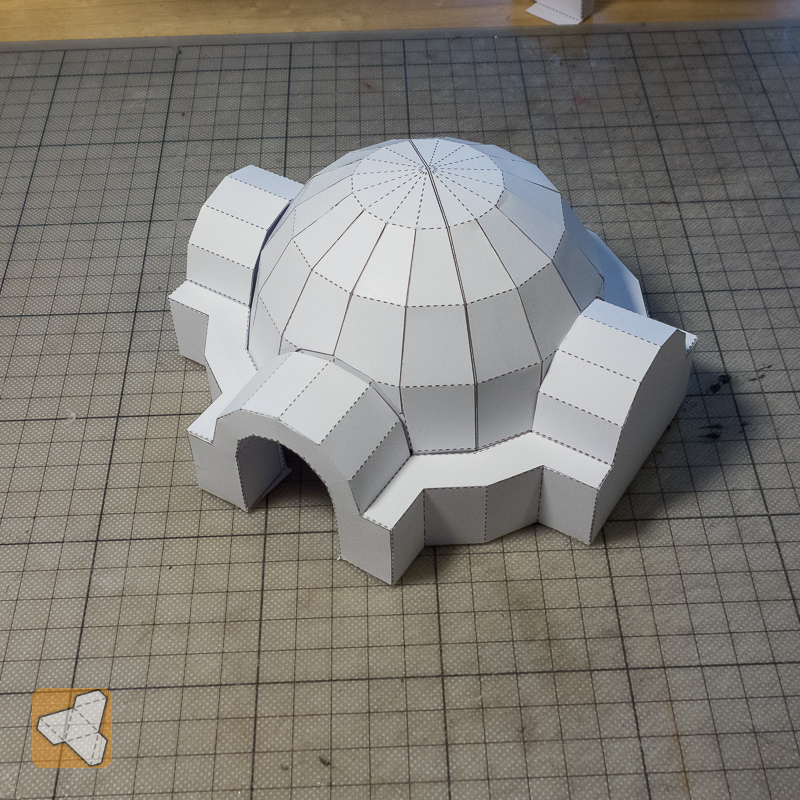 So far I have finished the dome! Tomorrow I will build the walls. 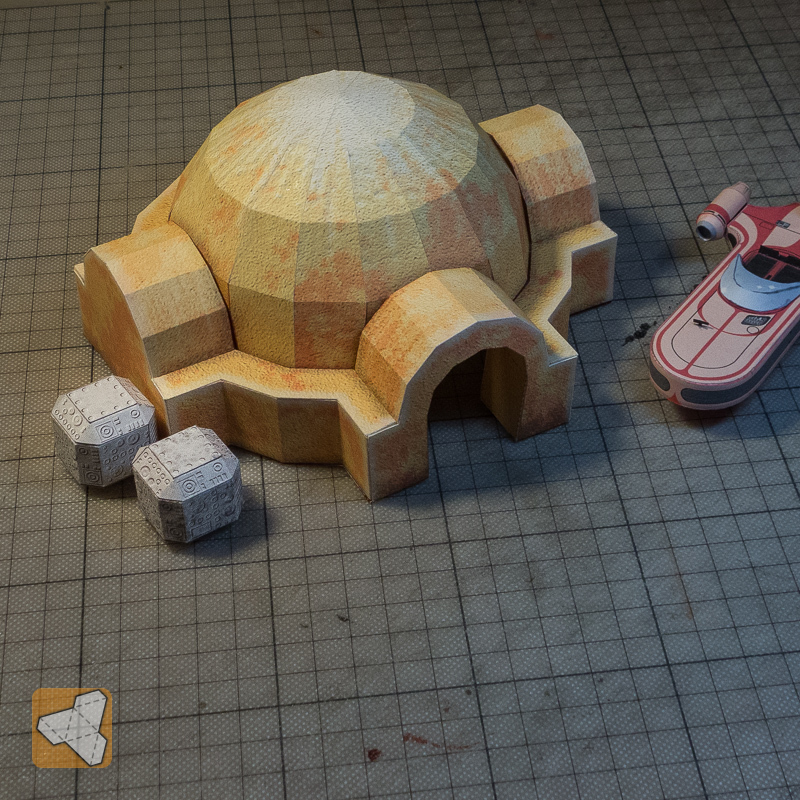 Made the removable door, an easy door version (just printed on the flat wall) and built the remaining walls for the sand version. Now all I need is to finish the instructions and do the file check. I'll probably do a moisture vaporator some day but just not now. 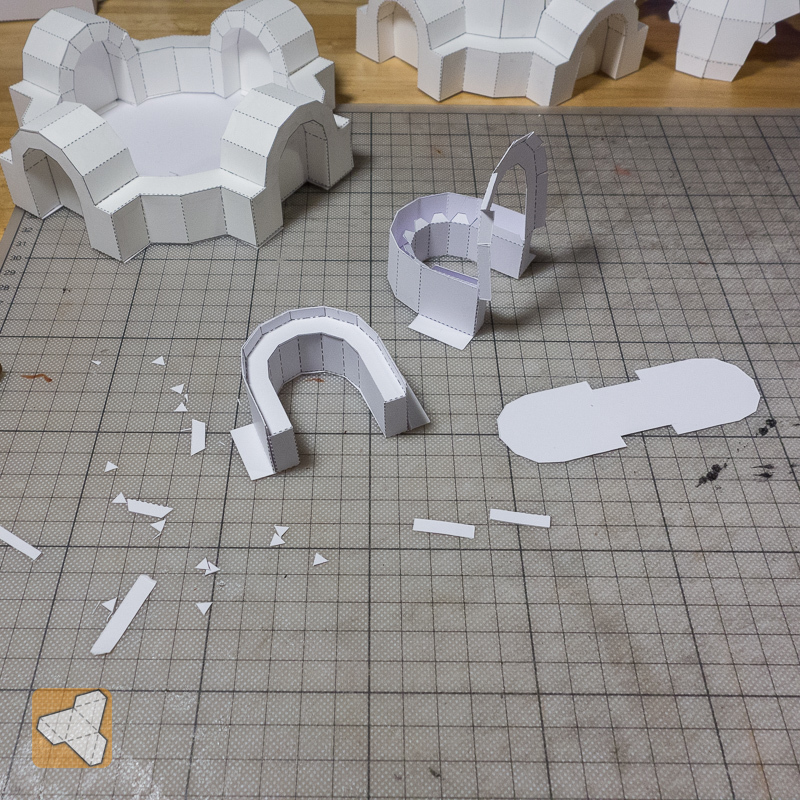 I have started working on the geometry on the weekend but I want to get back to the Japans and finish the castle keep. 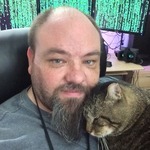 Looking back I have to thank Vermin King for inspiring me to do this. Esp. 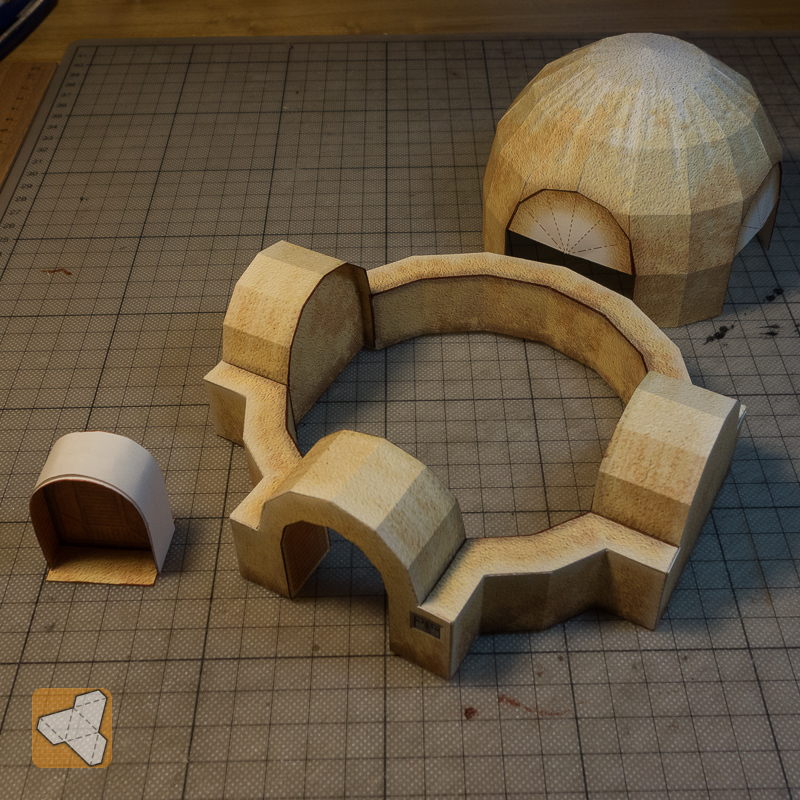 designing the dome was a very nice new challenge and I think the way I build it works quite well. 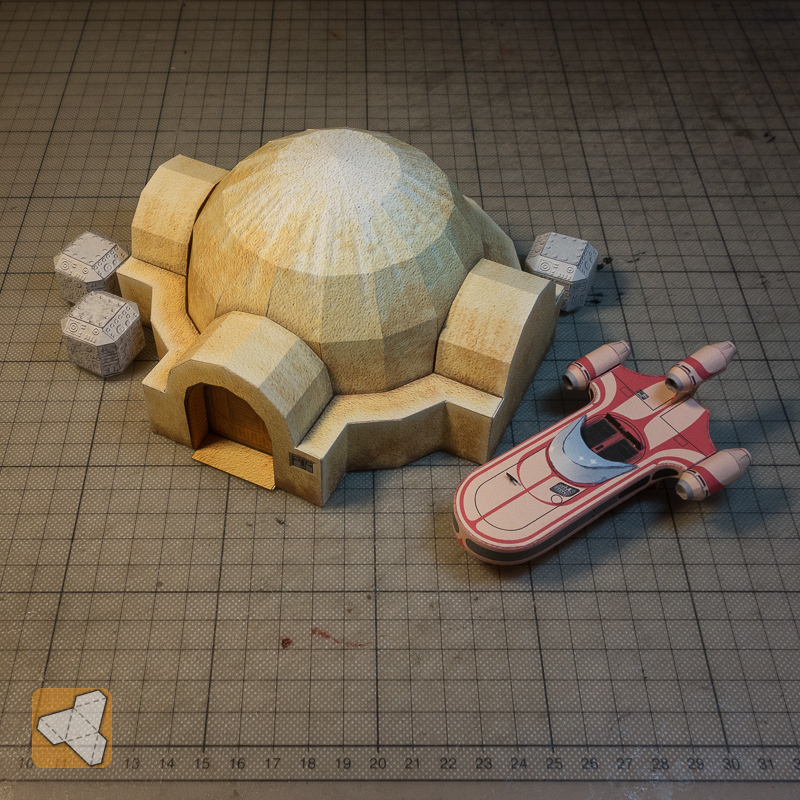 Hope it will make a couple of Star Wars fans happy :-) I have also included a layer with just plain wooden doors, in case one wants to use it in a non Sci-Fi setting. 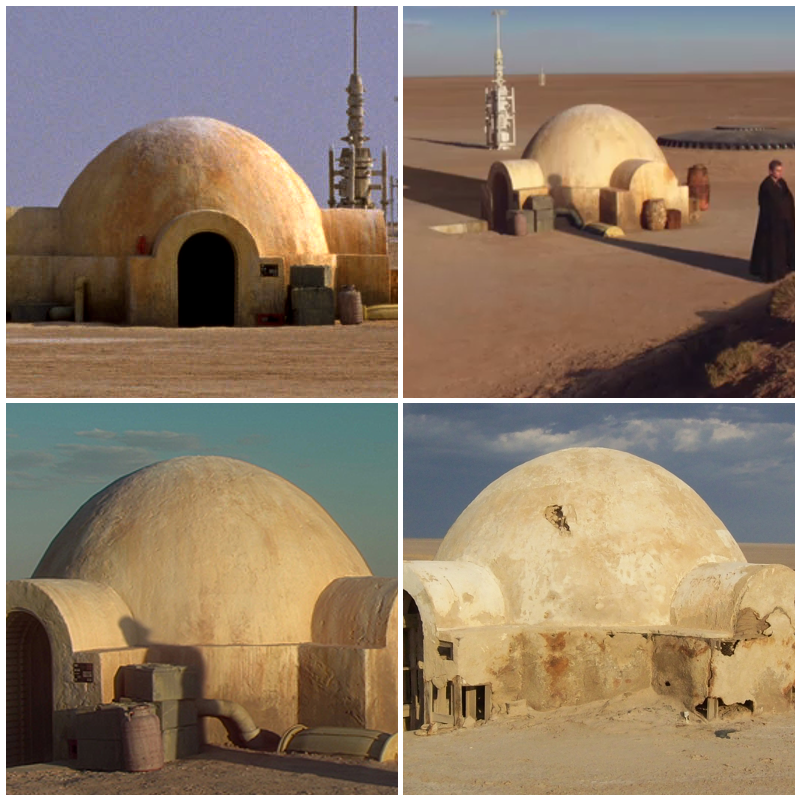 I see that you have that door and door surround texture that Lucas used everywhere in the original movie. In your research, did you ever see how they did it? My guess is that they had rolls of wallpaper that they applied to all sorts of stuff.